If you’re a personal trainer who’s currently working out of a commercial gym and are wanting to set up your own private personal training facility then this post is for you! If done correctly you can earn more money and live a better quality of life. When to take the leap and set up your PT Studio! Lets dive into some juicy content…. Easier to pick up clients – potentially 70-80% of people in the gym could benefit from your help. You’re in an environment that you can easily sell yourself in. It’s about going up to people providing free help, building relationships, smiling, being approachable and building up a regular client base. 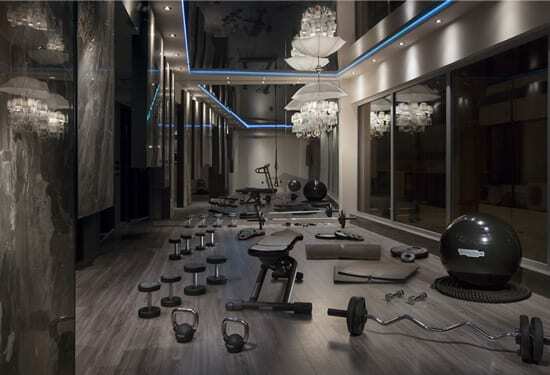 Equipment – most commercial gyms (not all! i’ve been to some terrible ones!) will have good equipment, this potentially makes it a good place to get results as you have access to all sorts of expensive equipment: rowing machines, smith machines, treadmills, all of these pieces of equipment cost around 1-5k! Restricted Pay – lots of facilities will have a pay limit, for example they wont let you charge the rate you want. 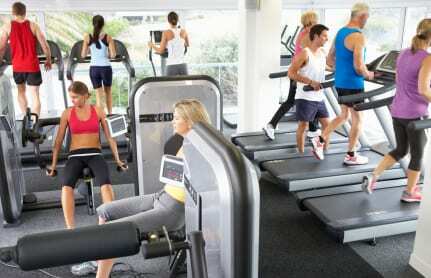 They may cap all personal trainers at £15-£20 per session. Although this is an easy way for gyms to manage personal trainers, and a good way for them to profit, it’s not ideal for the ambitious personal trainer who wants to take his salary to the next level. Unpaid Work – many commercial gyms require you to put in additional hours on the gym floor, whether that’s being on reception, cleaning equipment, answering the phone, putting weights back, etc. There are gyms that want you to work 10-20hrs a week (that’s not including your personal training sessions!). 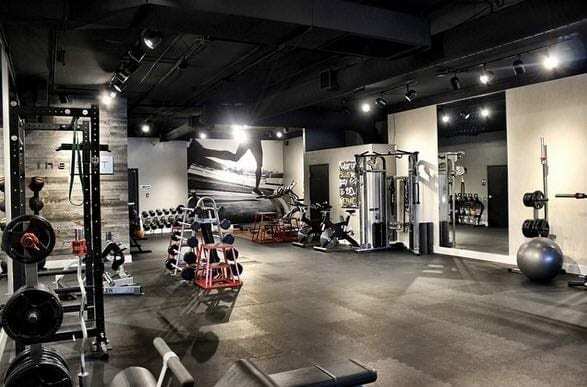 Some gyms will still pay a basic salary for these hours but other require you to put in free hours if you want to have access to the facility to train your clients. Charge what you like – there’s no pay cap, you can charge the rate you deserve, obviously providing people are willing to pay! You probably couldn’t charge £300 per hour (unless you’re a celebrity trainer in a major city!). That said you could charge £30-80 and potentially triple the rate you were on at a commercial gym. Choose your hours – one of the benefits of being your own boss is that you can choose when you work. Personally I used to hate working 6-8am! So when I set up LEP Fitness i made sure to only do late mornings/daytime (10am-2pm) and then evenings 5-8pm. Business Opportunities – you can hire other trainers, nutritionists, massage therapists, etc and build a lucrative business. Lead generation – when you set up alone how are you going to keep generating new leads and enquiries? You need to have a marketing plan in place. You also need to have a good internet presence and develop a business mind for generating customers and building a successful business. Costs Money – where are you going to set up your PT studio? How much is the rent? the business rates? insurance? equipment? etc, etc. There are lots of obvious cost like equipment, rent, etc but then there are also lots of hidden costs – council tax, business rates, accountancy advice, contents insurance, etc etc. Before setting up your own facility you need to know the costs and how much it’s going to take to break even and what you want your profits to eventually look like. Hard Work – it can lonely setting up your own business and it takes crazy amounts of hard work. To start with you have to work every hour given, graft, and do the things that most people aren’t prepared to do. It’s not for the faint hearted. So now that we’ve looked at some of the pros and cons of each when should you set up your own private studio? Well obviously it depends. Some people just go for it straight away! That’s amazing and takes a lot of balls! Others never make the leap, that’s ok as long as you’re happy. My advice would be to gain 2-5 years experience in a commercial gym. Don’t worry about the pay, as long as it covers your bills, food and rent! Work your frickin backside off! Work 50-70 hour weeks, put your heart and sole into learning, helping clients and getting as much coaching experience as possible. Spend all your spare money on books, courses and improving your self. Then after 2-5 years start to develop a business plan, read books on business, read autobiographies of successful entrepreneurs, and get inspiration from people in the industry who you look up to. For me I look up to the likes of Phil Learney and Mark Coles – they’ve both been successful personal trainers and have thriving businesses – check out their content and podcasts. Once you have a solid business plan, and understand the finances of what it’s going to cost, take the leap of faith and put your heart and sole into making it work. Accept that you will fail (we all do) and there will be some tough lessons learned along the way. BUT if you persist and adapt a long the way you’ll be able to carve out a nice place for your business, potentially helping thousands of people change their lives, and building a really successful personal training business along the way.